One of the safest places in town to talk about hearing loss and hearing aids. One of the safest places in town to talk about hearing loss and hearing aids. Speech therapist specialized in children development – M.A in children development from Haifa University. I offer speech and language services to babies and children, including communication, language pronunciation and apraxia. My clinic is located in Haifa. Speech therapist specialized in children development – M.A in children development from Haifa University. I offer speech and language services to babies and children, including communication, language pronunciation and apraxia. My clinic is located in Haifa. SpeechWorks 4 Kids! is a NYC-based pediatric speech therapy practice that provides resources, consultations, evaluations & individualized treatment to preschoolers & school-age children with speech, language, or voice issues. SpeechWorks 4 Kids! is a NYC-based pediatric speech therapy practice that provides resources, consultations, evaluations & individualized treatment to preschoolers & school-age children with speech, language, or voice issues. TST provides high-quality evaluations and therapy for children and adults with speech-language disorders, delays and disabiities. Our S/L pathologists work collaboratively with family, physicians, and related professionals, to ensure the child gets the support and state-of-the-art services they need to succeed. TST provides high-quality evaluations and therapy for children and adults with speech-language disorders, delays and disabiities. Our S/L pathologists work collaboratively with family, physicians, and related professionals, to ensure the child gets the support and state-of-the-art services they need to succeed. 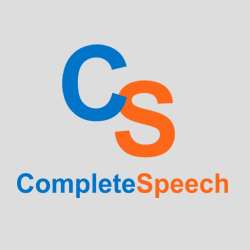 CompleteSpeech is the leader in innovative, visual feedback tools for speech and language training! CompleteSpeech is the leader in innovative, visual feedback tools for speech and language training! Long on Language is a speech pathology private practice servicing college-bound school age children through adult with speech and/or language needs. Offering assessments, evaluations and consultations in social language, verbal expression, auditory comprehension, reading, reading comprehension, written expression, critical thinking, accent reduction, stuttering, articulation, and public speaking. Long on Language is a speech pathology private practice servicing college-bound school age children through adult with speech and/or language needs. Offering assessments, evaluations and consultations in social language, verbal expression, auditory comprehension, reading, reading comprehension, written expression, critical thinking, accent reduction, stuttering, articulation, and public speaking. Sell House or Home, LLC is a real estate investing company based out of the Coeur d'Alene Idaho and Spokane Washington areas. Sell House or Home, LLC is a real estate investing company based out of the Coeur d'Alene Idaho and Spokane Washington areas. iSpeech provides human quality Text To Speech (TTS) and patent-pending voice cloning technology. iSpeech TTS comes in many languages. The iSpeech cloud based TTS API allows integration in any platform. To date, iSpeech TTS has been integrated in over 29,000 products and services worldwide. iSpeech provides human quality Text To Speech (TTS) and patent-pending voice cloning technology. iSpeech TTS comes in many languages. The iSpeech cloud based TTS API allows integration in any platform. To date, iSpeech TTS has been integrated in over 29,000 products and services worldwide. Professional, Licensed, Certified, Speech, Language, Communication, Educational Services for all ages. Professional, Licensed, Certified, Speech, Language, Communication, Educational Services for all ages. Level Up Living offers stress management workshops, anxiety treatments, and public speaking courses in Vancouver. Results are maximized with small workshop sizes and powerful techniques. You can call to reserve a spot today. Level Up Living offers stress management workshops, anxiety treatments, and public speaking courses in Vancouver. Results are maximized with small workshop sizes and powerful techniques. You can call to reserve a spot today. StutterFree Tool is a speech therapy tool that you can use at home for the stuttering person the improve fluency. The website has informative information for the parents of stuttering children to use. StutterFree Tool is a speech therapy tool that you can use at home for the stuttering person the improve fluency. The website has informative information for the parents of stuttering children to use. This web-site will inform Stuttering Children and also the parents of Stuttering Children with information about stuttering and stammering. The purpose of gaining this knowledge is to rid this negative life molding affliction and replace it with a life of positive fluent speaking. This web-site will inform Stuttering Children and also the parents of Stuttering Children with information about stuttering and stammering. The purpose of gaining this knowledge is to rid this negative life molding affliction and replace it with a life of positive fluent speaking. Want to advance your career in speech pathology? Join our team today! Want to advance your career in speech pathology? Join our team today! Public Speaking for Kids helps Parents and Teachers teach kids how to write and deliver speeches in public, including Impromptu speeches. Public Speaking for Kids helps Parents and Teachers teach kids how to write and deliver speeches in public, including Impromptu speeches. We provide valuable speech therapy information, resources and products for children who may have speech delay, dyspraxia, autism, SLI, CAPD, hearing impairment, stuttering / stammering and want to know more about getting help. We provide valuable speech therapy information, resources and products for children who may have speech delay, dyspraxia, autism, SLI, CAPD, hearing impairment, stuttering / stammering and want to know more about getting help. Thinking about taking voice/vocal lessons? Try Roger Love's The Perfect Voice therapy and improve your communication skills. Click to learn what The Perfect Voice does to improve your voice! Thinking about taking voice/vocal lessons? Try Roger Love's The Perfect Voice therapy and improve your communication skills. Click to learn what The Perfect Voice does to improve your voice! Ezy-Speech is a comprehensive, in-home stuttering therapy program offering fluency and cognitive training for adolescents and adults. DVD-based program, developed by a speech pathologist / speech therapist, psychologist and two recovering stutterers. Ezy-Speech is a comprehensive, in-home stuttering therapy program offering fluency and cognitive training for adolescents and adults. DVD-based program, developed by a speech pathologist / speech therapist, psychologist and two recovering stutterers.